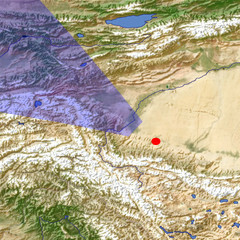 The Kongur Shan Mountains on the left side of this view form the northeastern edge of the Pamir Plateau. 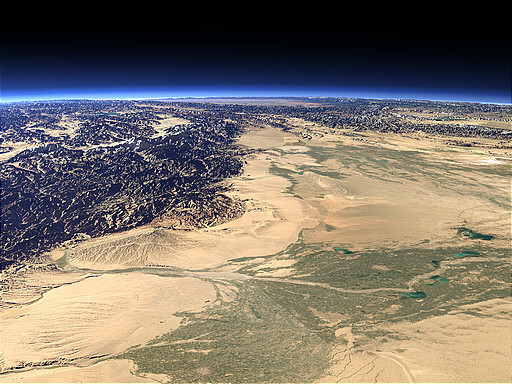 Further to the east the Taklamakan Desert begins and the rivers from the mountains form large oases like that of the Yarkand River in the foreground. The image is great, but the name"The Kongur Shan Mountains and the Eastern Taklamakan" should be "The Kongur Shan Mountains and the Western Taklamakan"